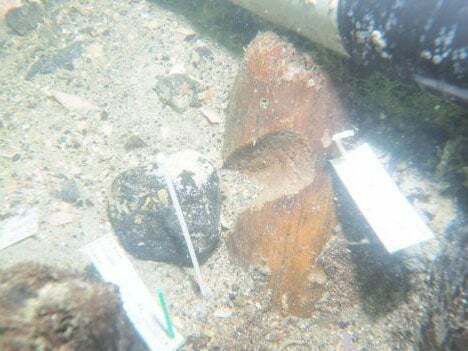 An amateur diver accidentally made an “unprecedented” discovery by unearthing a 7,000-year-old Native American burial site off the coast of Florida. The fossil hunter said he was was looking for shark teeth when he came across an ancient jawbone while swimming near Manasota Key in the Gulf of Mexico in 2016. Scientists were alerted to the site when the unnamed diver alerted the Bureau of Archaeological Research to possible human remains. Archaeologists believe the site, which used to be a freshwater “peat-bottomed” pond, was once used by indigenous people to bury their family members. Rising seas in the Gulf of Mexico meant the pond was eventually submerged, but the peat - which slows the process of decay - remained intact, preserving millennia-old human remains. “Our hope is that this discovery leads to more knowledge and a greater understanding of Florida’s early peoples,” Ken Detzner, Florida’s Secretary of State, said. Dr Timothy Parsons, Florida’s Historic Preservation Officer, said the site was a “revelation for the world of archaeology. The team excavating the site found human bones, sharpened wooden stakes and fragments of textile, according to National Geographic. Florida’s state department said the “unprecedented” archaeological site, which is 275 metres from shore and measures 0.75 acres, was important because the only other known examples of submerged offshore burial sites are located in Israel and Denmark. State officials said they were assessing how best to manage the site and protect it for future generations. Divers, a statement warned, are prohibited by law from disturbing the site and police are frequently patrolling looking for any suspicious activity. “As important as the site is archaeologically, it is crucial that the site and the people buried there are treated with the utmost sensitivity and respect,” Dr Parsons said. Shipwrecks are offshore archeological finds as well. We've been working/harvesting on them for literally hundreds of years. Well, I can't say why Dr Parsons said that. A brave little theory, and actually quite coherent for a system of five or seven dimensions ? if only we lived in one.